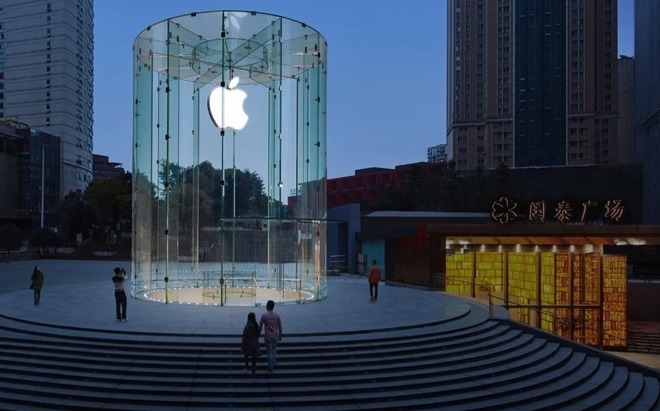 Citing monopolistic behavior in how it reviews, posts, and removes apps from the App Stores, a cadre of 28 Chinese developers have filed a complaint against Apple, alleging antitrust violations. The 28 developers filed through Beijing's Dare & Sure law firm, according to a report by Reuters. The complaint alleges that the apps are removed by Apple without notice, and the company doesn't give details on why —and when it does, the queries are not responded to in Chinese. Developers are also complaining about excessive fees for in-app purchases. "During its localization process Apple has run into several antitrust issues," Lin Wei of Dare & Sure said. "After an initial investigation we consulted a number of enterprises and got a very strong response." The law firm invited developers to join the complain in April. The complaint, including unnamed developers, was filed on Tuesday with China's State Administration for Industry and Commerce and the National Development and Reform Commission. Apple issued a blanket statement, referring to its terms and conditions for developers, including fees. In the statement, Apple noted that most Chinese App Store submission are approved to be on the store "within 48 hours, or less." It went on to state that the rules for the app store, including transaction fees, apply equally to all developers in every country, and in accordance with those universal rules there is an appeal process for developers that feel that apps were removed in error. The Chinese developer's complaints appear to include Apple's revision on it's "tipping" policy for digital content providers. Once banned, Apple changed its rules to allow the tips through in-app purchases —but is taking its customary cut of such transactions.